The Descent into the Grandest Canyon of All! Join me on the descent to the grandest canyon of all! 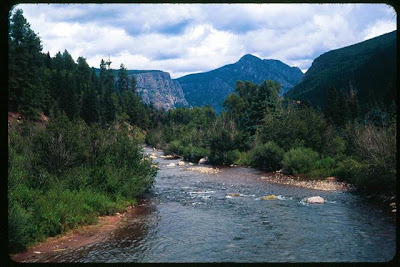 Even though this article is a posted column on the National Association of Baby Booomer Women’s site, the raft through the Grand Canyon is a journey that can be enjoyed by anyone. All you need to bring on this "bucket list" trip is the right frame of mind and you will return with smile that will last quite some time. Read more here at the National Association of Baby Boomer Women. 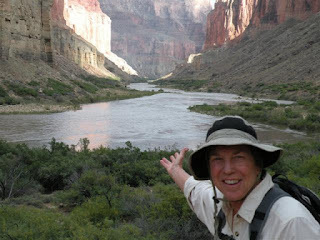 Elaine Masters host of the women’s radio show Gathering Roads interviews adventure-travel writer Linda Ballou. In just 15 minutes you learn what makes Linda want to stretch her limits, and why she is in such a hurry to get to as many beautiful places she can before they are gone. Just in from rafting the Colorado River through the Grand Canyon and on her way to the lofty peaks in the San Juan Mountains, she takes time to share her excitement with you.